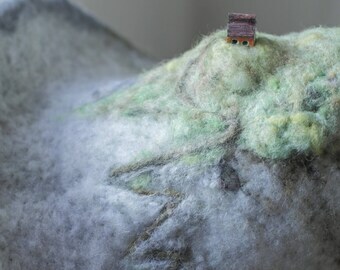 I made this hat by needle felting vegan-friendly fiber, and creating sculpey clay goat figures for it. 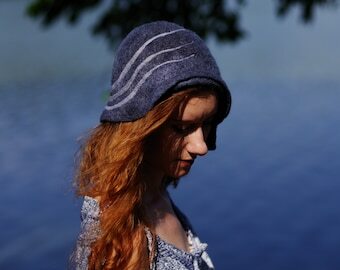 My main objectives are reviving the everyday wear of exquisite hats and elevating their artistic merit. 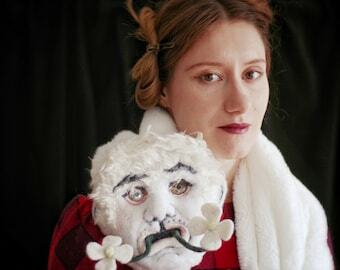 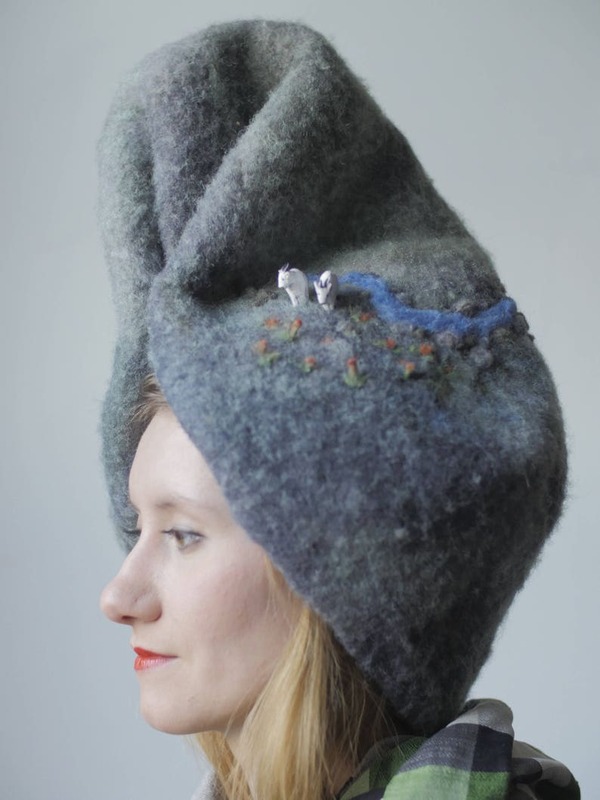 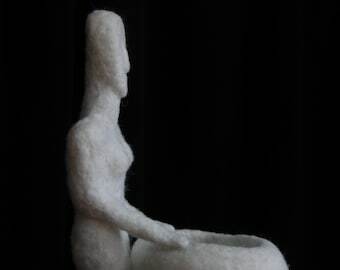 I make sculptural yet wearable needle-felted hats which appear as abstract forms, figurative creatures, and miniature landscapes, transforming them from accessories into art pieces. 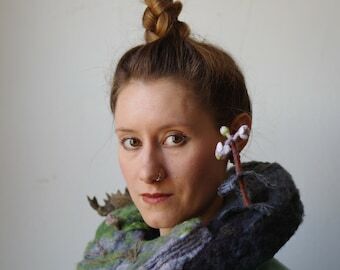 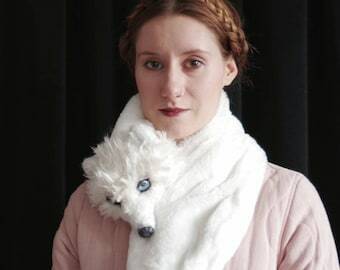 The goal of this series is to redefine the boundary between fashion and art and to push the needle-felting process beyond “craft” into the realm of fine art. 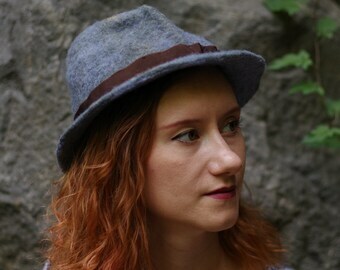 I made this hat without a plan, bending the felt piece until it made a pleasurable shape and then securing it in place. 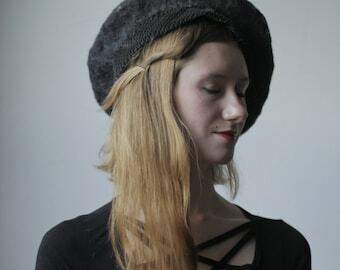 The hat was formed using the needle felting process in which you stab loose wool repeatedly with a barbed needle until in mattes together into solid felt. 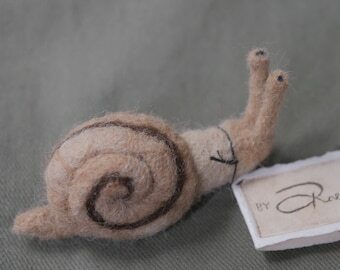 Patterns, colors, and other details are then felted on in the same manner. 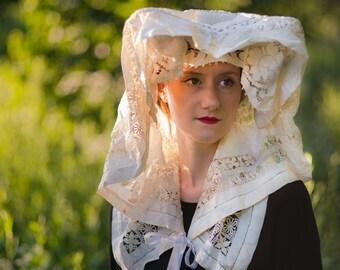 This is a labor-intensive process, so hours of work went into making this unique hat.